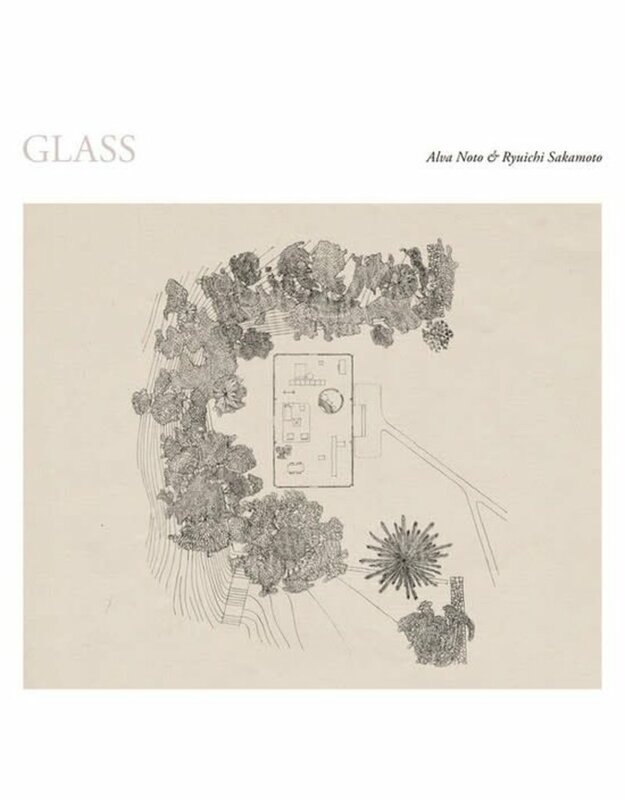 GLASS is a recording of an inspired live improvisation by Ryuichi Sakamoto and Alva Noto at the architect Philip Johnson’s hallowed Glass House, in the bucolic setting of New Canaan, Connecticut. The structure’s transparency and seamless continuity with nature was given another dimension by the addition of this performance, whereby the building, location and audio coalesced into one perfect, harmonious whole. Stylish, stunning and elegantly minimal, the duo’s architectural sound design evokes and synergizes with the space creatively, acoustically and literally – by using the building’s fabric as an instrument. This is the sound of glass and of glistening condensation. Pristinely fresh audio stratus float amorphously by, unfurling from a meditative calm into an evocation of sparkling wonder, like a baby observing raindrops on a nocturnal window for the first time. Although the work is largely tonal, textural and spatial, fleeting moments of melody appear towards the end, which despite their scarceness, achieve a profoundly moving effect. Built between 1949 and 1995 by feted architect Philip Johnson and exemplifying modern architecture and the International Style, The Glass House hosted this site-specific event. It was commissioned by Curator and Collections Manager Irene Shum, who recalls the experience: “The emotional drama of the forty-five minute performance was echoed in the natural environment. A sudden rain storm forced the evening’s guests into The Glass House at the start. During the performance, the storm cleared into a dramatic red and pink sunset and concluded in nightfall.” This intimate evening brought Ryuichi and Carsten back together for their first live collaboration since Sakamoto’s cancer diagnosis and treatment in 2014. Prior to that, Nicolai and Sakamoto had worked together on and off since 2002, releasing 6 albums as a duo.